Why the funk would you want an environmentalist to be chairman of your energy committee? It's like picking a baseball player to manage a hockey team. Oh well, you all wanted change.... you're gonna get it in spades. [+3] - DrewDad - 11/20/2008Oh noes! Ours public servants is funny-lookings! Hows things is lookings is always most importantist! [+3] - Thomas - 11/20/2008No problem. In Germany gas is already over $7, and peole are doing okay there. I'm tempted to quote the immortal words of Ex-Senator Gramm (R): "America is a nation of whiners." I hear he's going to appoint Barney Frank head of the natural gas exploratory committee. Just wait. It will be $7/gallon next summer. Really? 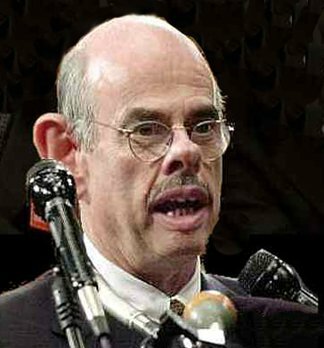 Have you ever looked at Waxman? He's the stupid nerd that got beat up constantly in High School, getting his revenge by ******* over the evil capitalists. This is going to be a bumpy ride. As I've said before, I and an awful lot of others have no intention of acknowledging O-boy as our president. You can bet an awful lot of people in the power industry are very concerned about his socialist enviro-wacko leanings. $7 gas will only be the beginning. It will be worse that that. They have medication that can help with that paranoia. It's too bad they can't seem to be able to come up with anything for the cancerous "liberalism". 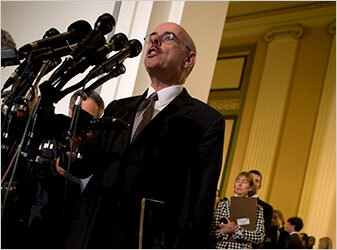 Waxman seems to like getting his nostrils probed by gay midgets. Oh noes! Ours public servants is funny-lookings! Hows things is lookings is always most importantist! His looks have helped mold him into the utter POS that he is. No problem. In Germany gas is already over $7, and peole are doing okay there. I'm tempted to quote the immortal words of Ex-Senator Gramm (R): "America is a nation of whiners."